Wondershare PDFelement is one of the best PDF management utility software I have used till date, the addiction of the award-winning optical character recognition (OCR) plugin made it a complete PDF workshop for all PDF needs. No doubt, one should be so confident when dealing with a software company of this repute, we had no doubt when installing the PDF element software as we have had many successes with their products in the past. Our focus today is on the Wondershare PDFelement software and the OCR Utility plugin integration. 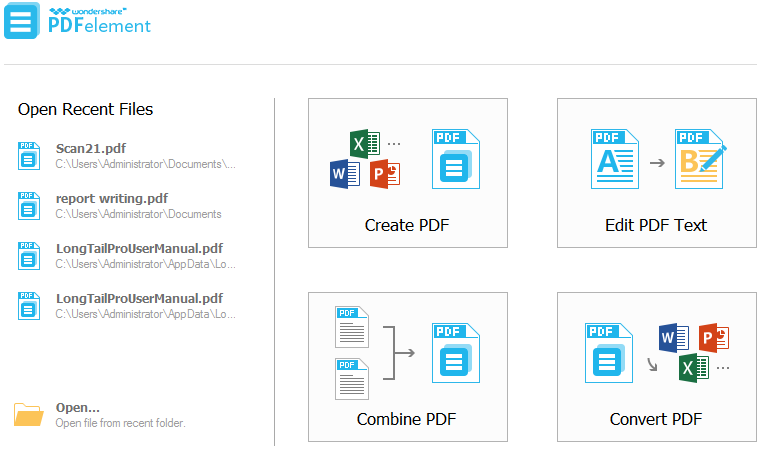 This two combination will make life at home and office so easy for you; from PDF conversion, PDF editing to protecting PDF documents, removing protection and adding comments to PDF files, Wondershare PDFelement lets you do PDF editing like a pro. Does what it is meant to do perfectly well. The OCR technology integration made the software a beast on the loose. We didn’t experience any performance issue with it. In one or two occasions , we scanned a printed office document (.docx) to PDF and converted to Word (with the OCR technology turned on) without a perfect result. The layout of the letter was scattered and the fonts’ format altered. We had to download a larger setup file for the OCR plugin integration. Would have been better if both were bundled as a single solution. 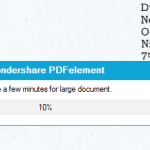 Here is what we can say about Wondershare PDF element after about a month of active usage, we’ll look into some of the functions we used often during the time in view. From the product size, installation and usage, the performance of Wordershare PDFelement software was perfect and works well on Windows 7 and 8. We didn’t notice any lag, drag, hanging and/or errors on our 4GB Windows 7 Laptop let alone our 8GB Windows 8 one. Even on larger word files, the import and conversion process works flawlessly and faster than most cheaper alternatives out there. There has been an intuitive conviction from our end before going for it and can confidently opine; we aren’t disappointed with it performance-wise. Wondershare PDFelement GUI and overall design is made in such a way that’s zero-complicated and even the edged can find their way around the program without wasting much of their time. From installation, product activation to editing and integrating of the OCR plugin; we really found the software to be very user-friendly and void of ambiguities. We didn’t notice any bug with the Wondershare PDFelement software during the period under review, the program worked flawlessly with Microsoft Windows 7 and 8. Wondershare PDFelemment software works well with all Microsoft windows version including the flagship Windows 10 operating system (OS). The hardware requirements is very minimal, even your older PC won’t suffer as a result of installing the PDF element software. 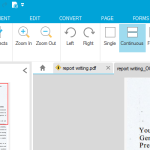 The product was just a good PDF utility software until we added the optical character recognition (OCR) plugin that turned it into a beast on the loose. We could almost do all premium level editing of any PDF document with it. At this point we wished the Wondershare OCR plugin was sold together with the Wondershare PDFelement software as a single solution. The OCR technology added to it made it a complete software solution for all PDF X editing needs. Here’s some of the features you should expect when going with the Wondershare PDFelement software. We lifted these features from their official website to educate you more on how useful the software can be to your everyday home and office needs. Wondershare PDFelement software and OCR plugin integration is superb for creating, editing and working with PDF documents. The software compatibility with both Windows and Mac makes it a good enough app to have for day to day uses. The trial version that lets you try the software before buying it, is a good addiction as it lets potential customers test the program before spending a dime. We can recommend this software based on the good experience we had with it. Lets you add watermark, digital signature and various levels of restriction to PDF documents. Does not have a bundled version that combines both editing, conversion and OCR technology into one.